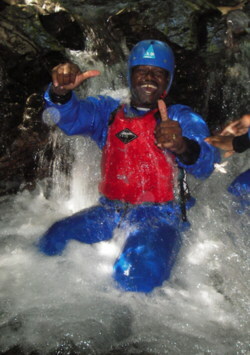 Whats the aim of Gorge scrambling as an Activity? 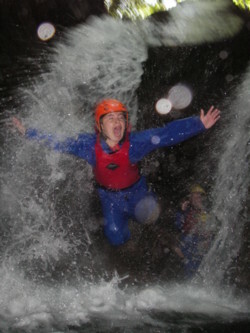 The aim of gorge scrambling is to navigate your way up a mountain stream, beck, gill or ghyll. It can be as easy as a stream walk or as hard as climbing a fast flowing waterfall. Expect deep plunge pools and rocky traverses during this exciting activity. You can take this at your own speed and if there is something you don�t fancy doing you can always walk around it. We supply waterproof clothing and wetsuits where required. You will need to wear something warm and comfortable underneath, like a thermal base layer and a fleece. We have e few venues where spectators can view the activity from the sides, please ask about these on booking the gorge scrambling.